On February 19, 2012 at approx. 8:00 p.m. a silver pickup truck was observed by a citizen driving in an erratic manner. The witness contacted police and continued to update the police dispatcher with an ongoing location until police arrived to stop the vehicle and investigate. The vehicle was stopped in the area of Communication Rd and Burk Line in Harwich. 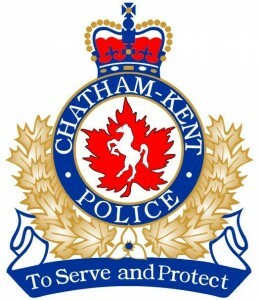 As a result a 36-year-old Chatham female was arrested for Impaired Driving and was also charged with Over .08. The vehicle was impounded and the driver was also suspended. The driver was released and has a future court date in Chatham. A 21 year old Harwich man was arrested for Impaired Driving and Over .08 after a being observed by a patrolling officer. The vehicle was located on Talbot Trail in Harwich Twp. at approx. 2:50 a.m. 20 Feb 12. His vehicle was impounded and a driving suspension was issued. The driver was released with a future court date in Chatham. By: Greg Holden on February 20, 2012.